The Saudi British Economic Offset Programme (SBEOP) has announced it has helped facilitate the implementation of 15 projects over the past 20 years with total capital investment exceeding SR9.5 billion ($2.52 billion). “These joint venture projects have created more than 2,300 jobs with exports totalling in excess of SR10 bn. Many more projects are currently being developed or are under consideration,” the programme said. The SBEOP originated from the purchase of military equipment and associated support services by the Saudi Government in the mid 1980’s and it continues to attract inward investment into Saudi Arabia through the creation of joint ventures across a range of industrial sectors. The programme is managed on behalf of the UK Government by the British Offset Office, part of the UK Ministry of Defence. 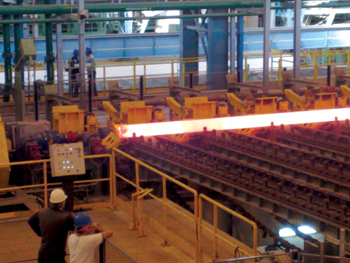 Projects implemented include a SR2.4 billion seamless steel pipe manufacturing facility of Jubail Energy Services Company (Jesco) which employs more than 700 staff, approximately 60 per cent of whom are Saudi nationals. 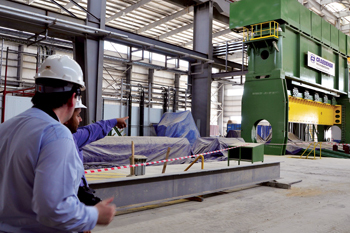 The facility, a joint venture between the local Saudi firm Taqa and the Swiss company Durferco, is located at the Royal Commission’s Jubail Industrial City which is reputed to be the largest industrial complex of its kind in the world. Another project is The Arabian Amines Company, which is a joint venture between the Al Zamil Group and the US Huntsman Corporation. The Arabian Amines Company is also located in Jubail and manufactures a range of ethyleneamines for use in a variety of applications from asphalt additives to fabric softeners. In 2013 the Global Pipes Company under the Offset Programme began production. This is a JV between EEW Erndtebruker Eisenwerk of Germany and the Saudi firms Saudi Steel Pipe Company and Pan Gulf Holding. The company manufactures large-diameter longitudinal submerged arc-welded pipes which find applications in the oil and gas, power and water sectors. The factory is located in Jubail in a new purpose-built facility covering over 120,000 sq m which houses impressive state of the art equipment including some of the largest pipe forming equipment in the world. The SBEOP allows inward investment from companies from most countries around the world. British Offset is currently supporting companies from the UK, the US, Canada, France, Germany, Italy, Switzerland and Japan and helping them with their joint venture projects from first concepts through to formal proposals and implementation. The offset programme considers JVs from most sectors and more recently has actively promoted and assisted companies in the renewable and solar energy sector. “Over the years British Offset has built up considerable experience of assisting with the development of joint ventures in Saudi Arabia. British Offset’s links with key decision-makers in the Saudi Government can help bring early resolution of problems which may emerge during the formation of a joint venture or indeed once it has implemented,” a British Offset statement said. The SBEOP offers many advantages, including help with partner identification, free investment bank advice in the early stages of project development and advice and support in obtaining the necessary Saudi Government approvals. A major benefit offered to the foreign partner of a JV is access to non-recourse finance for up to 50 per cent of their equity share. “Many projects facilitated through the Offset programme have taken advantage of this equity loan facility which is designed to reduce financial exposure and enhance business returns,” the statement said. Companies facilitated by British Offset and emerging successful include Synthomer Middle East, a joint venture between Dhahran Chemical Industries and the UK’ Synthomer Ltd (formerly the Harlow Chemical Company). Synthomer Middle produces polymer dispersants for the region’s paint and adhesives market. Since start-up in 1996, it has expanded its market coverage more than threefold, and opened up new export channels and areas of speciality polymer business. Production has now been modernised and extended to increase both manufacturing capacity and bulk storage. British Offset played a major role in the establishment of the £100 million ($15.08 million) United Sugar Company Refinery in Jeddah, a joint venture between Tate & Lyle, the Savola Group and other Saudi partners. 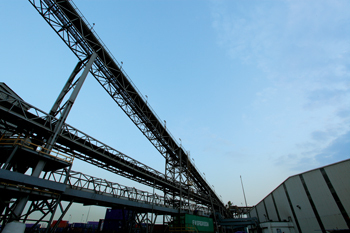 The sugar refinery, which was the Kingdom’s first, has now expanded to become one of the largest of its kind in the world, and will soon be producing over one million tonnes per year of high-quality white sugar. This will meet almost 100 per cent of home demand and allow for export to other Gulf and Arab markets. Another example is the Saudi Polyolefins Company (SPC)’s polypropylene manufacturing plant, which is a major ($530 million, 450,000 tonnes capacity) joint venture between National Petrochemical Industrialisation Company (NPC or Tasnee) and Basell, the world’s largest polypropylene manufacturer. Polypropylene is a major thermoplastic which is widely used in packaging, household utensils, children’s toys, carpets, textiles and, increasingly, in the automotive sector. Feedstock for the plant is provided by Saudi Aramco. Tasnee is responsible for regional marketing and Basell manages worldwide exports. In the logistics field, the SA Talke centre, which was assisted by British Offset, built a 100,000 sq m multi-user facility located in the Port of Jubail. It is a joint venture between Talke Logistics Services, the AlJabr Group and Saudi Industrial Services Company (Sisco). The facility offers regional customers the storage of bulk and packed petrochemical products together with a range of value-added services for plastics in granulate or powder form. A point that British Offset conveys to investors is the importance of Saudi Arabia in the Middle East’s industrial environment. The kingdom is the largest free market economy in the Middle East and North Africa holding 25 per cent share of the total Arab GDP. Its geographic location provides easy access to export markets in Europe, Asia and Africa and it has a continuously expanding domestic market (annual population growth of 3.5 per cent), which is adding to a young and consuming population with strong buying power. “Saudi Arabia’s investment environment reflects traditions of liberal, open market private enterprise policies and its Foreign Investment Law allows 100 per cent foreign ownership of projects and real estate. The kingdom has an impressive record of political and economic stability and a modern world-class infrastructure,” the statement said.